Alphonso Horne is one of the most sought-after musicians today. Known for his high level of musicianship, Horne has performed with some of the leading musicians in jazz including, touring with Wynton Marsalis and Jazz at Lincoln Center (2013), performing on the PBS Special: Lady Gaga and Tony Bennett (2014), and playing on Grammy nominated albums (Jamison, 2015; My Favorite Things, 2015). In 2010, Horne received his BM at Florida State University. Immediately after graduating FSU he was a member of the Disney All-American College Band before he would attend Juilliard for his Masters in Jazz (MM ’13). In that same year Wynton Marsalis would include him in a list of 16 young jazz musicians entitled, “Wynton’s Picks: Who’s Got Next”. While at Juilliard, Horne began performing in various musical productions, both on Broadway and off. In 2013, he was a part of the Tony Award winning Broadway production After Midnight (2013) with world-class cast members such as Fantasia Barrino, Dulé Hill, and Patti LaBelle. He was also a member of the orchestra for Tony nominated Shuffle Along (2016) with another great cast including Savion Glover and Rhiannon Giddens (who he would later begin touring with in 2017). Horne’s talents were also seen outside being an orchestra member as he was the Music Director for Ziegfeld’s Midnight Frolic (2015), and Assistant Director for The Last Time Musical (2015). Horne leads an active career as a sideman. He has been a part of many projects including, the Cab Calloway Band (2014), touring with Allen Stone (2015), playing on Jamison Ross’ (Jamison, 2015) and Joey Alexander’s (My Favorite Things, 2015) Grammy Nominated albums, performing with the Count Basie Orchestra (2016), began touring with Rhiannon Giddens (2017), and most recently with Rihanna at the Video Music Award show in 2017. Horne also was the producer for Nancy Harrow’s album The Song is All (2016). 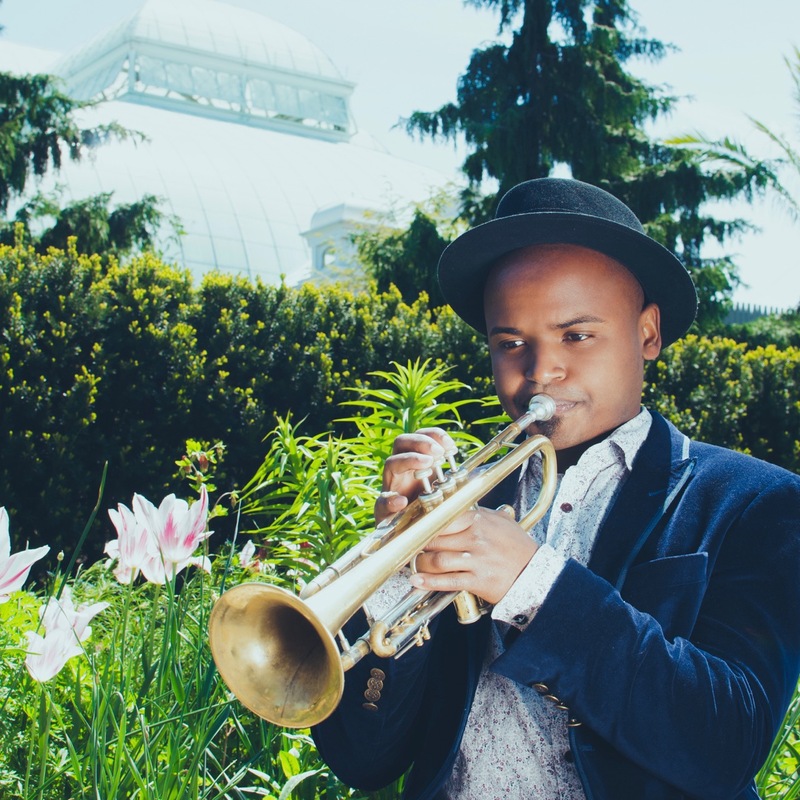 An active performing career has given Horne the opportunity to perform at many world-class venues and jazz festivals around the world including, Madison Square Garden (VMA Awards 2017), Umbria, Monterey, Newpor, Montreal, Vancouver, London, and many more. Currently Horne is involved with many projects including, the annual Savannah Swing Central and Music Festival, where he commissioned an arrangement for this 2018 season, playing with Sammy Miller and the Congregation, who just finished a residency at Ars Nova (2017). As a leader, he is the bandleader of an early jazz band: Gotham Kings. Gotham Kings performs regularly at Jazz at Lincoln Center, and Ginny’s Supper Club in Harlem, New York. He is currently producing his original show “Mother Kofi: The Tale of an African Princess”.